The Sand Barre culture invites women in and immediately encourages them and loves on them. No questions asked. You belong here. Audrey Curran and Erika Carter met at The Sand Barre when it first opened in December 2015. Erika was a client at the time. Audrey had just opened the studio with her sister, Brooke, after moving to Naples from Nashville, TN. Little did they know that one day their new friendship would become so much more than that as their mutual love for The Sand Barre grew over the next couple of years. Audrey knew Erika’s passion for health, wellness & fitness as they’d talked about it many times over lunches and Waterside shopping adventures together. She had always dreamed of owning her own fitness studio. In early 2018 Erika was presented with the opportunity to purchase Brooke’s half of The Sand Barre. With tears in her eyes and pounding in her chest - Erika felt in her heart that everything had led her to this moment. So many dreams were about to come true, and Audrey was thrilled to offer a partnership to one of her dearest friends. Audrey & Erika literally met at the barre! Then they met over coffee. And cocktails. And CPK’s Spicy Buffalo Cauliflower. And shopping splurges at Anthropologie. Like so many other women who come to The Sand Barre - they became friends. 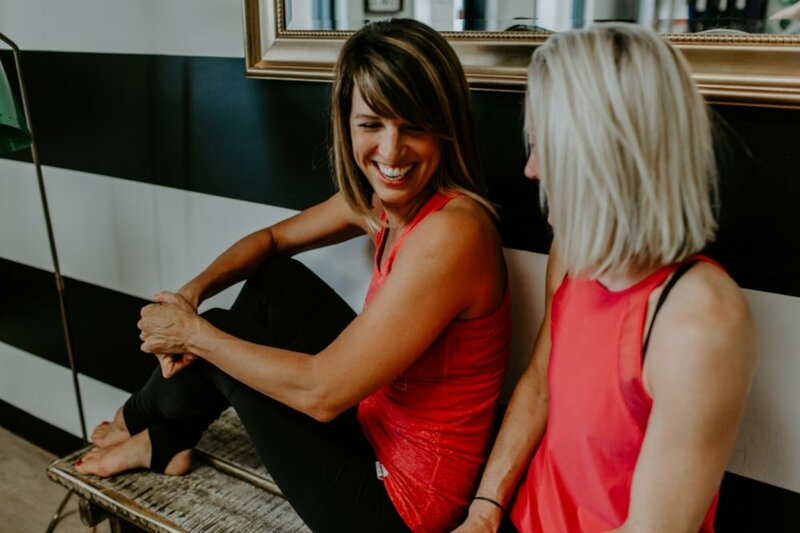 Now through that friendship AND partnership they come alongside hundreds of women through The Sand Barre and encourage them - not only in their fitness journey, but also in their LIFE’s journey. The culture at The Sand Barre is all about WELCOMING people in. From the owners, to the instructors, to the members and clients - it’s understood that this is a place where everyone belongs. This is a place where we don’t allow a woman to sit alone on her mat without acknowledging her and making sure she feels comfortable in this space. We all walked in the door for the first time. We know that can feel intimidating (although it shouldn’t!). We do everything we can the second a new client walks in the door to alleviate those nerves or insecurities. From the front desk to the end of class, Audrey & Erika do everything they can to make sure the women feel like they belong at The Sand Barre.